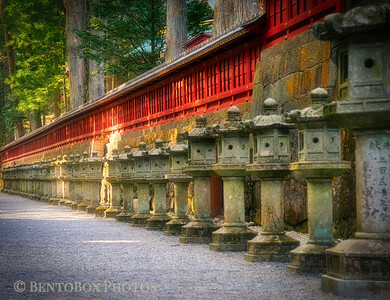 This is a path around the temple complex at Tosho-gu in Nikko, Japan. The stone lanterns are called "ishidoro". Most of the buildings and structures in the complex were built in the 1600's. 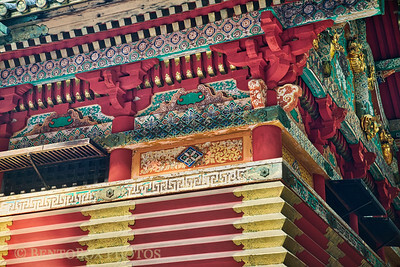 This building is one of the three sacred storehouses (Sanjinko) within the Tosho-gu Shrine in Nikko, Japan. The building was built, along with 54 others in the complex, in the early 1600's. I love the colors, paintings, and design. 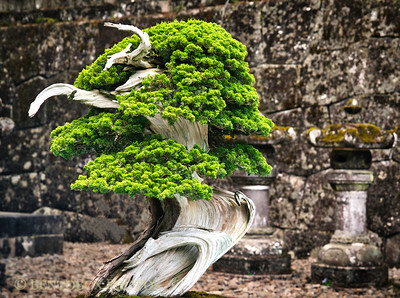 The Tosho-gu Shrine in Nikko had a Bonsai Tree exhibit on the day we were there. I thought this one was fascinating, as it seemed to grow out of a beautiful piece of driftwood. At the Ashikaga Flower Park, or Hazamashizenkansatsu Park, outside of Ashikaga, Tochigi, Japan, they have a Wisteria Festival every April to May when the Wisteria flowers bloom. 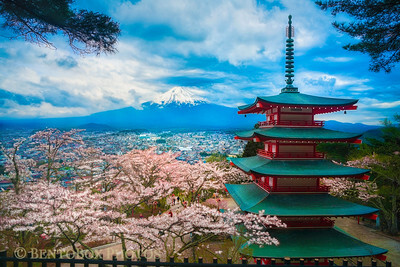 It is called "The Tale of Fuji no hana", Fuji no hana being the name of wisteria flowers. 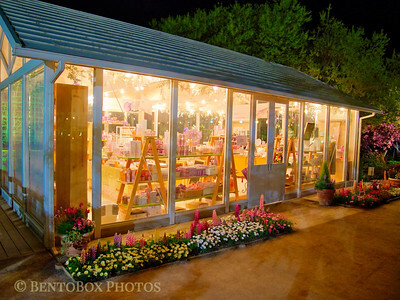 During this time, the park is open past sunset, and one can walk around the park, viewing the flowers in the lights and listening to classical music over the park's speakers, enjoying the cool spring air and the beautiful views of flowers. 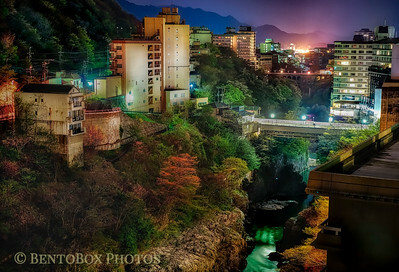 A rural mountain valley in Kinugawa-koen (鬼怒川公園), Japan full of night colors and enchantment. A great getaway full of mystery and aura as I gazed into the distant night in the quiet mountains of Nikko. The roar of the "ghost" river echoes in the dark below your feet. Such a surreal experience as you can see in the photo. 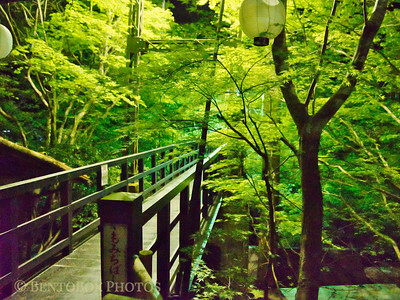 This was the bridge leading from the main road through the mountain village in Takao, Kyoto, Japan, across the rushing river, to the Momijiya Annex (or Bekkan) Ryokan, an enchanting hotel in the middle of the forest. 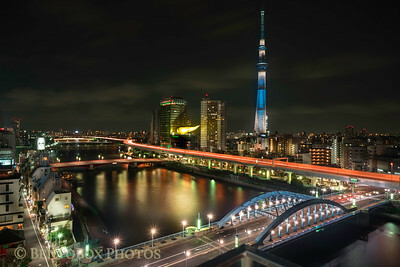 A view of the Tokyo Skytree across the Sumida river in Asakusa Japan. Note the Gold beer foam head on top of the Asahi Brewery beer hall, lovingly known as the "golden turd" glowing in the night. One of the more famous landmarks in Asakusa.